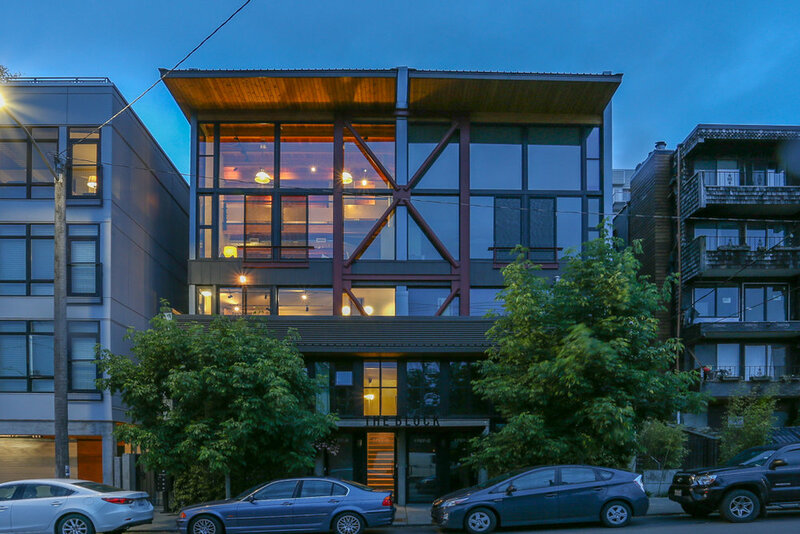 Sold for $1,498,800 (31 days on market). 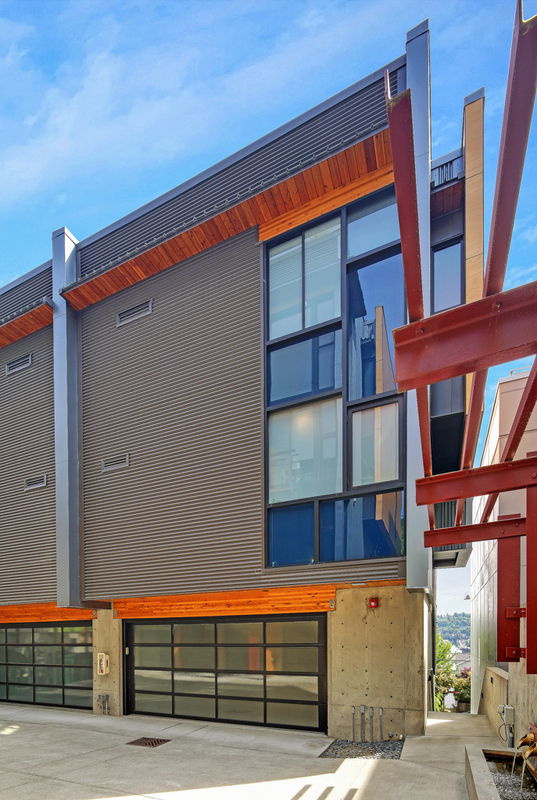 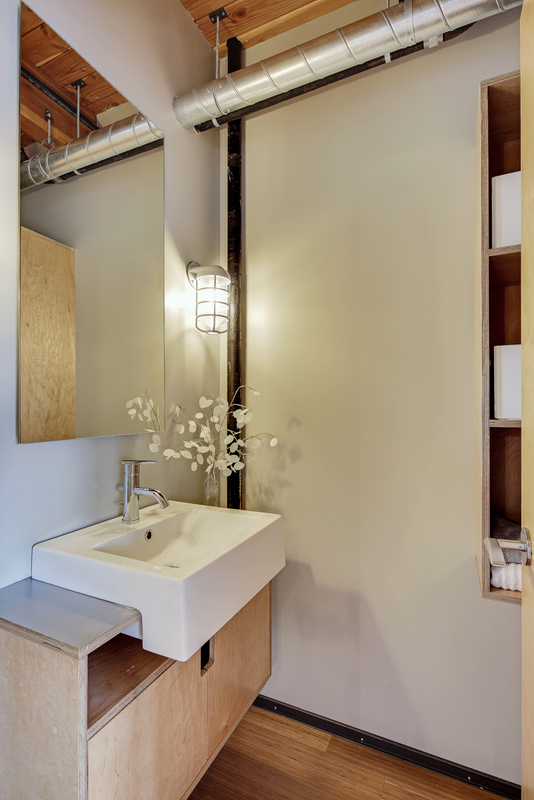 Industrial meets NW contemporary in this unique view townhome. 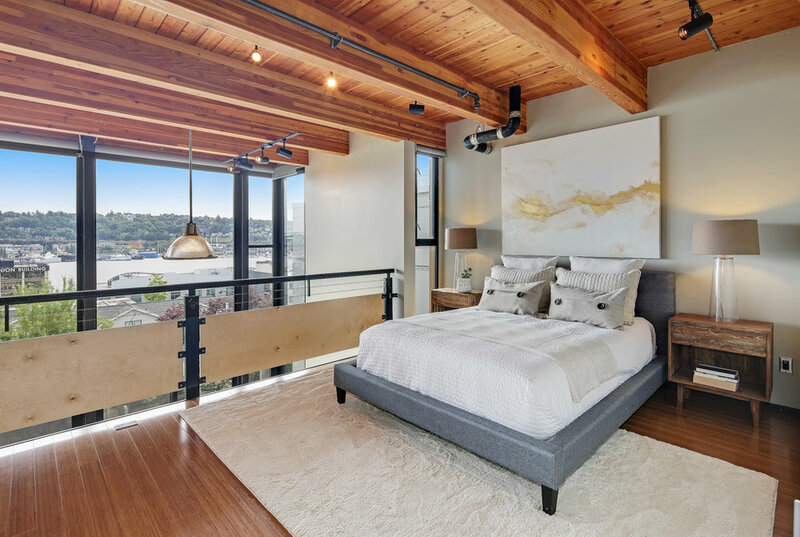 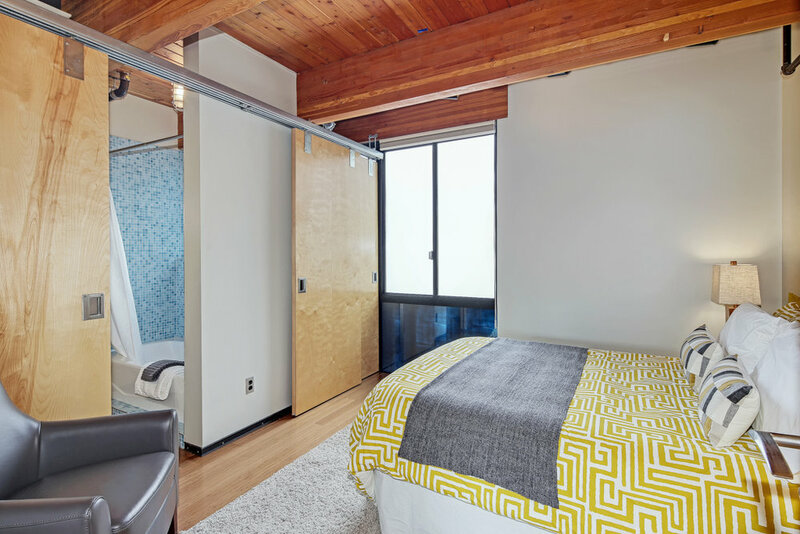 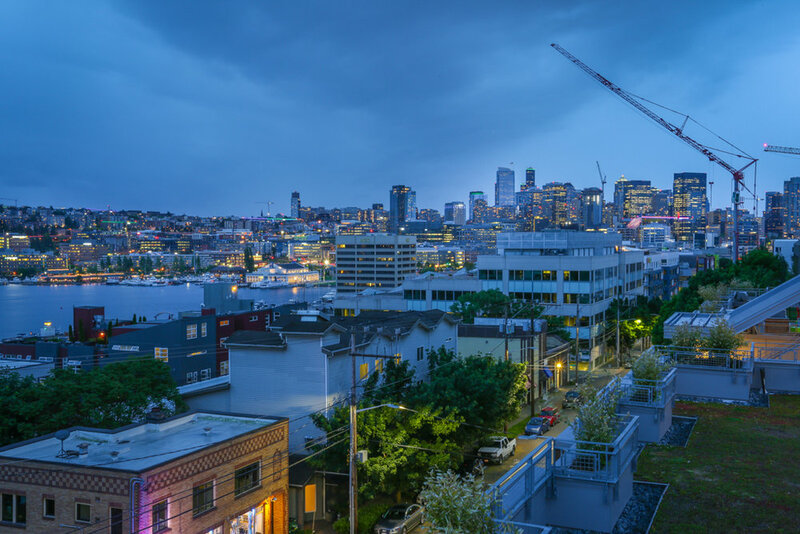 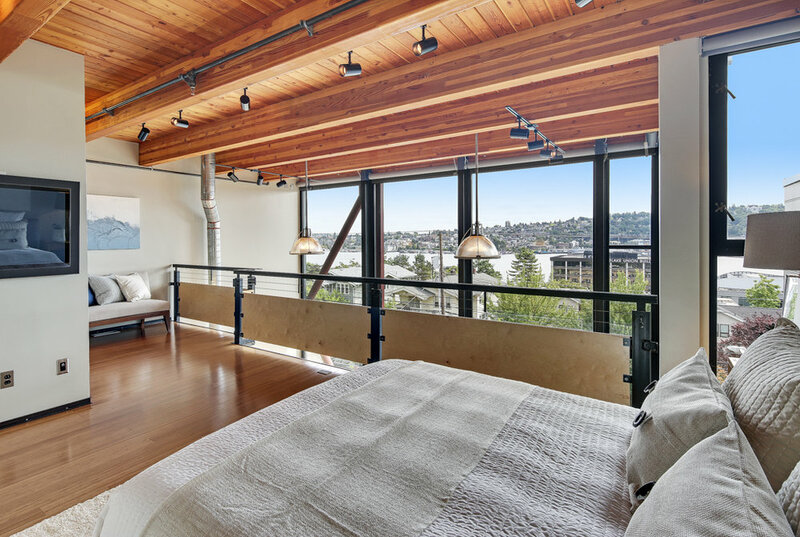 Soaring 25’ ceilings, walls of glass, warm wood beams throughout and Lake Union views from each level are just the beginning of this stunning 3 bedroom, 3.5 bath townhome. 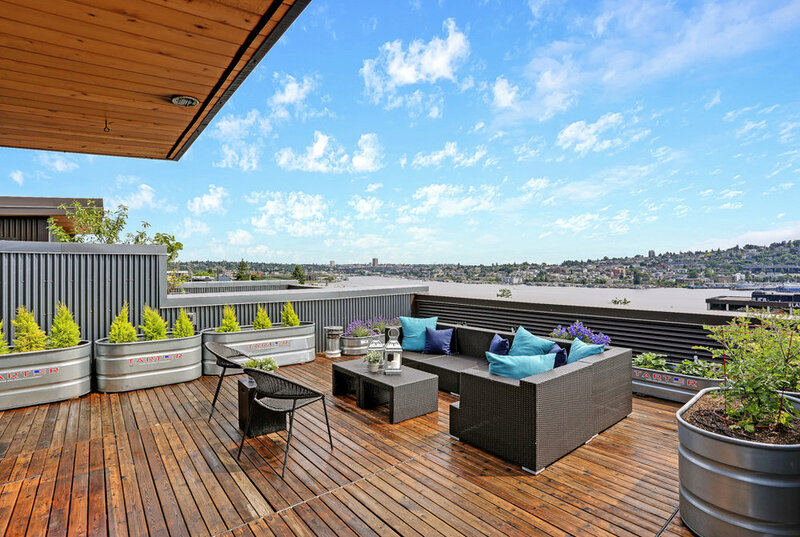 The rooftop deck is a garden in the sky with panoramic views from Montlake to the Space Needle. 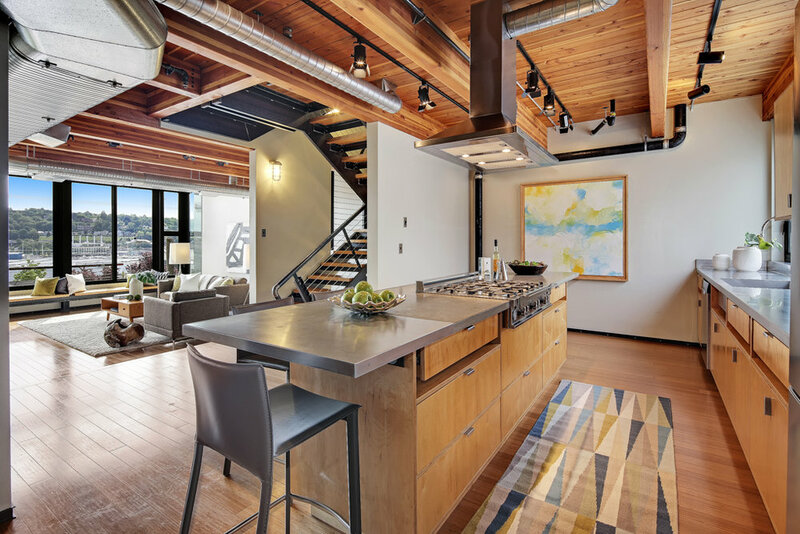 Features include bamboo and pine flooring, a commercial-style kitchen with Liebherr, Bertizzoni, Bosch and Smeg stainless steel appliances. 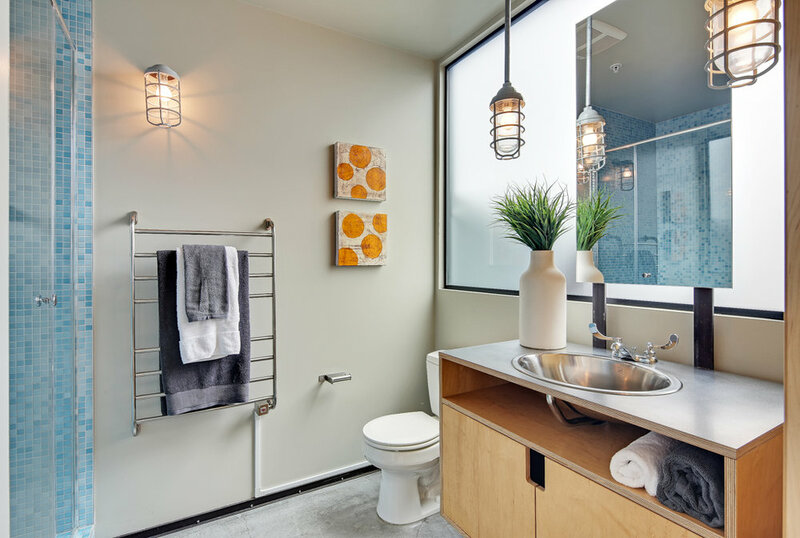 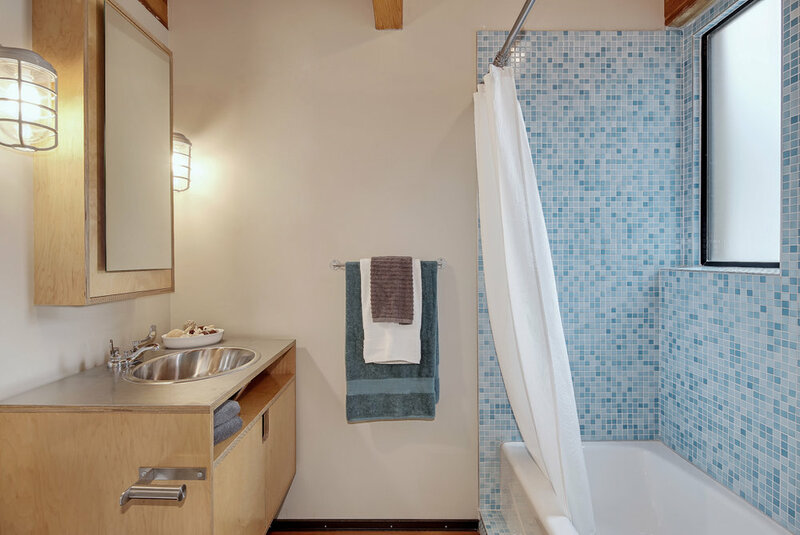 Open-concept main level, Lutron shades, loft-style master with 5-piece spa bath, Grohe fixtures, 2-car garage with charging station and much more.